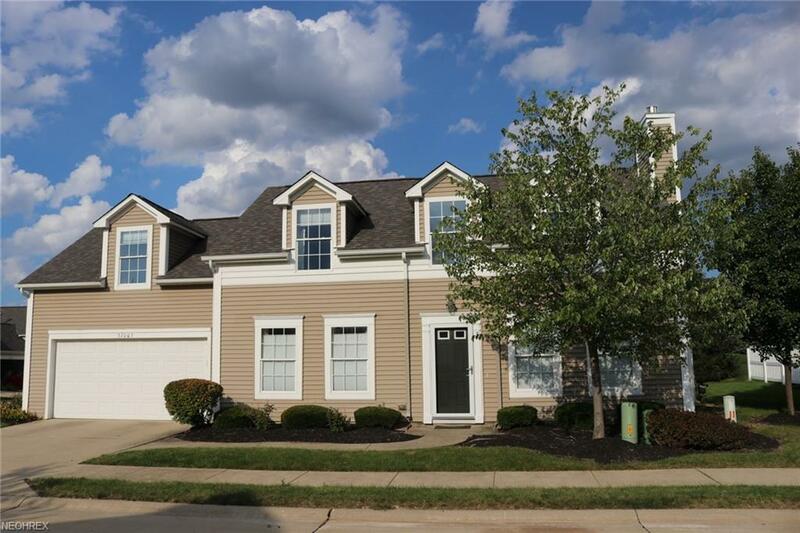 Wonderful maintenance free living w/great flexible floor plan! 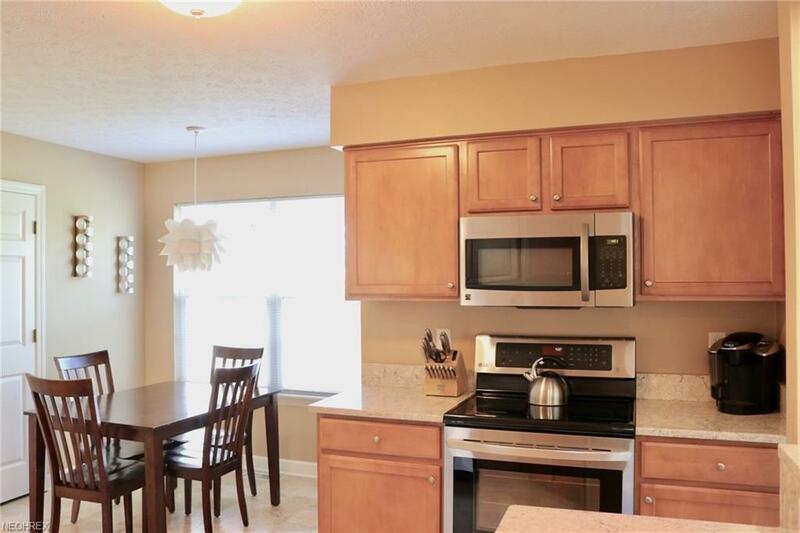 Gently lived in & move-in ready! Step in to the 2 story Great Room w/gas fireplace. Formal Dining Rm is open to the Great Rm & Kitchen area. 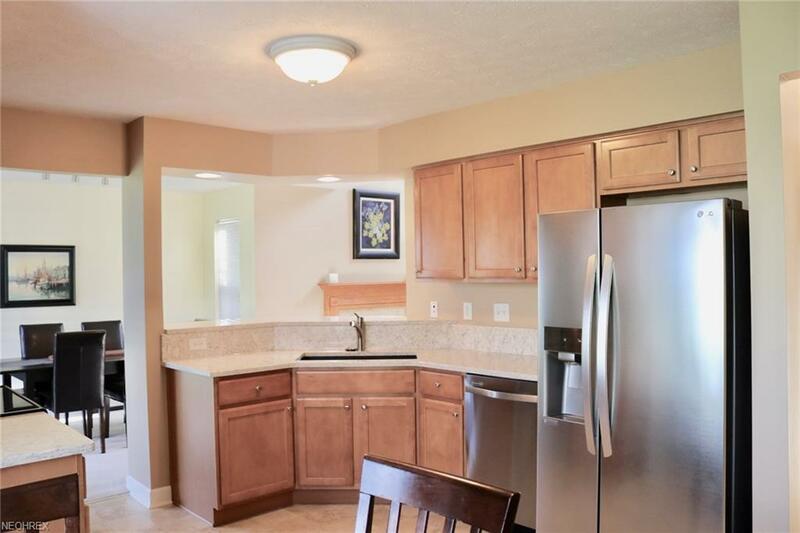 Kitchen offers a breakfast nook, quartz counters w/composite sink, stainless steel appliances, & Breakfast bar! First floor offers laundry room, full bathroom, & 1st floor Master bedroom. This versatile floor plan can also flip the Master Bedroom to the 2nd floor! Large loft area convenient for office or even work out room and overlooks the Great Rm! Second floor offers full bath and 2 additional bedrooms (they are tandem-pass through one to get to the other) w/2 closets each! This would make a great Mstr bedroom w/nursery or office. 2 car attached garage has additional space along perimeter, great for storage! Back area offers a patio and is open to the common space area. Condo association maintains the exterior of the home, lawn care, & snow removal! 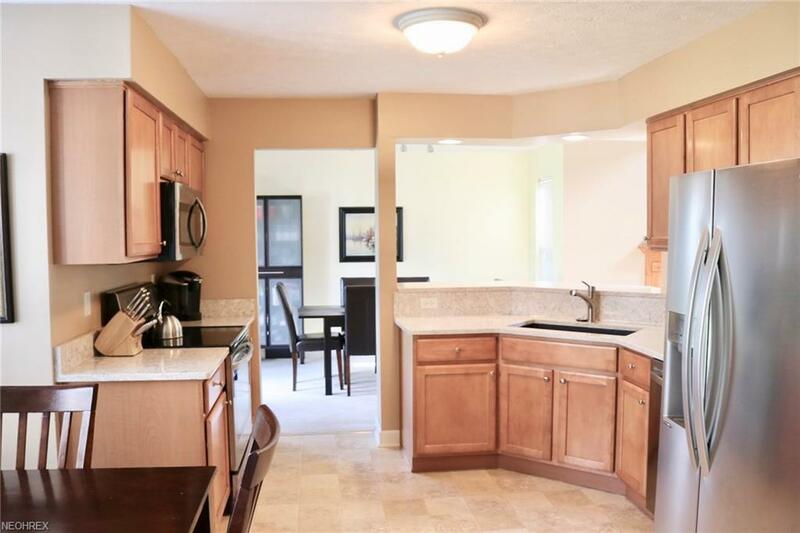 Waterbury development is well sought after and this is a great opportunity to live in this neighborhood which offers walking paths, playgrounds, community center, & pool. Close to highways, shopping, medical facilities, & more!